Avast SecureLine is a vpn app for android which anonymizes your android phone’s IP address on the network. Android is the most used mobile operating system and hence many security risks will always be present around it. Malicious email links and website forms can easily track your network activity and can steal your sensitive info without your concern. There are many free antivirus app available for android like Avast, Kaspersky, Netquin, Panda etc. But these antivirus apps are just useful tools that can’t completely protect your identity on the internet. Avast Mobile Security has inbuilt firewall that can block malicious links and phishing attacks but to use it your android phone must be rooted. And a rooted phone becomes more vulnerable to viruses and spam attacks. So, if you don’t want to root your phone then there is still an option with which you can protect your identity on the internet. You can download and install Avast SecureLine VPN app for android which will completely hide your original identity from being pryed upon. It is a paid app and you can avail the VPN services for just $19 dollars per year. It comes with a 7 days free trial. This is my Avast VPN review. ➜ Please read this updated Avast SecureLine Review. When you install and activate the avast vpn app on your android phone then it creates a secure, encrypted tunnel between your android and avast servers. This encrypted tunnel is the only medium with which you can transmit internet traffic. This tunnel is highly secured and encrypted so that nobody can interfere in it. 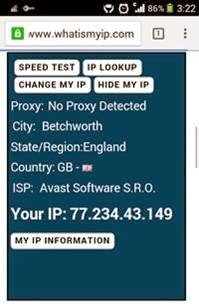 Your original IP address becomes invisible behind avast vpn servers and if you lookup your phone’s IP then it will show some other location that is different from your country. Basically avast SecureLine VPN uses vpn from many countries like USA(Dallas, Miami, New York, Salt Lake City, Seattle etc), UK, Canada, CZ, London, Tokyo and Melbourne. So if you are using Avast VPN then you IP address will point to one of these listed countries and states. Download and Install Avast android VPN App. After installation open it and tap ‘Next’ then tap ‘Continue to app’. Now tap ‘CONNECT’. Tap ‘Optimal location’ to choose your desired location for VPN. Another popup will open when you are connected, tap ‘Close’. Now avast SecureLine VPN is activated on your android cell phone and your original IP is hidden. You can start browsing internet on any browser without risking your security. 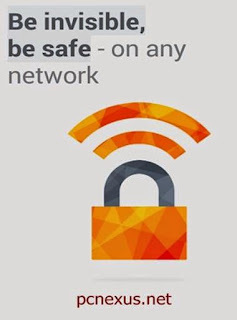 If you are on an unsecured open Wi-Fi then activate avast VPN first and forget about any risks. Visit any IP locating website and check your anonymized android IP address. 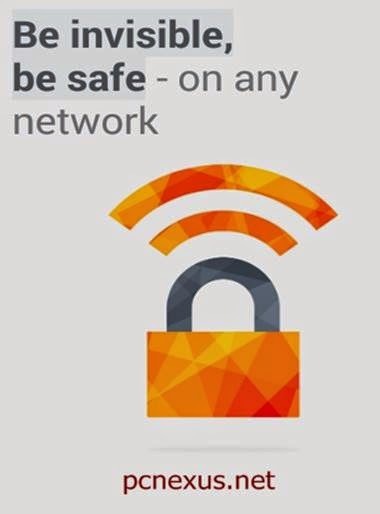 When this feature is enabled then Avast VPN will automatically activate itself and secure the open Wi-Fi networks before you connect to them. To enable this feature follow the steps below. Here tap ‘Unsecured Wi-Fi networks’. Tap ‘Ask what to do’ and choose ‘Turn on Avast SecureLine’. You can also set your ‘Optimal location’. Finally tap ‘Done’ on top right. Now whenever your android connects with an open Wi-Fi then the avast vpn will activate automatically and anonymize you. Good VPN app for android. Hides your IP address on network. 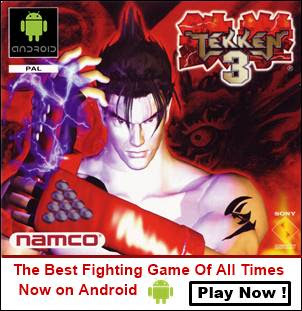 Works for all android apps like Whatsapp, Netflix etc. No need to setup separate proxy server. Note: Please read this in depth review of Avast SecureLine 2016.